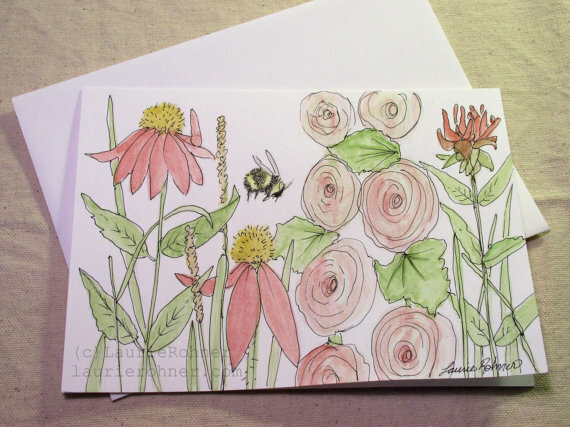 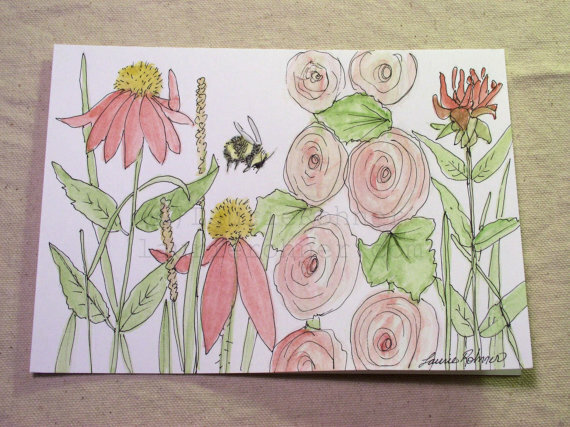 Hollyhock and Garden Flowers with Bee is a botanical watercolor illustration titled Pink Flowers in Garden, hand painted on a blank card with envelope I used a recycled white card stock paper for this original nature art card by nature artist Laurie Rohner for Between The Weeds. 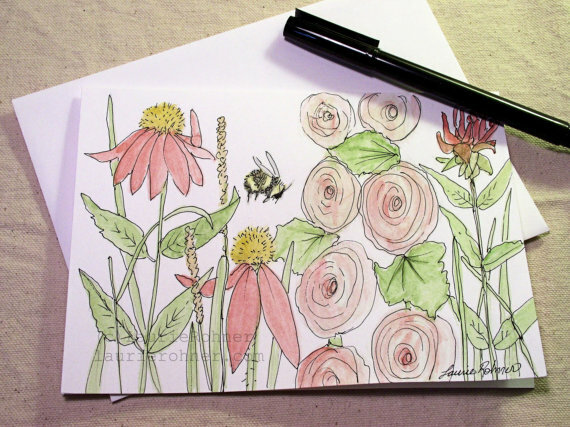 I stayed with a soft color palette of greens and pinks while this card is a crisp white sturdy paper. 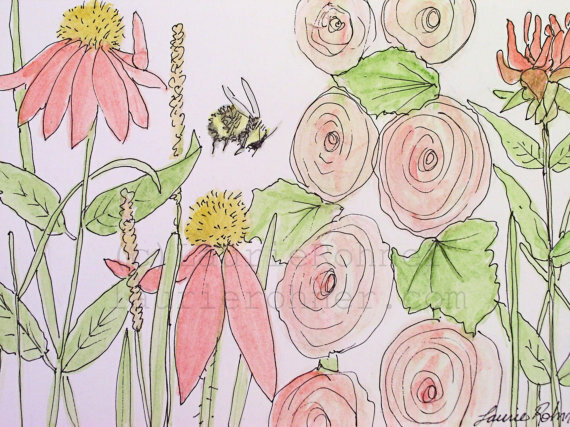 This is an original watercolor painting not a print or reproduction.